Montreal-based POTLOC has raised a $2.5 million seed extension round for its consumer insights platform targeting real estate companies, retailers, and municipalities. The funding was led by Ecofuel’s seed investment fund, with participation from Desjardins Capital and CapHorn Invest. POTLOC last raised $800,000 in a seed round over a year ago, and while the plan was to only raise $500,000 until the Series A, they ended up raising $2.5 million due to investor interest. 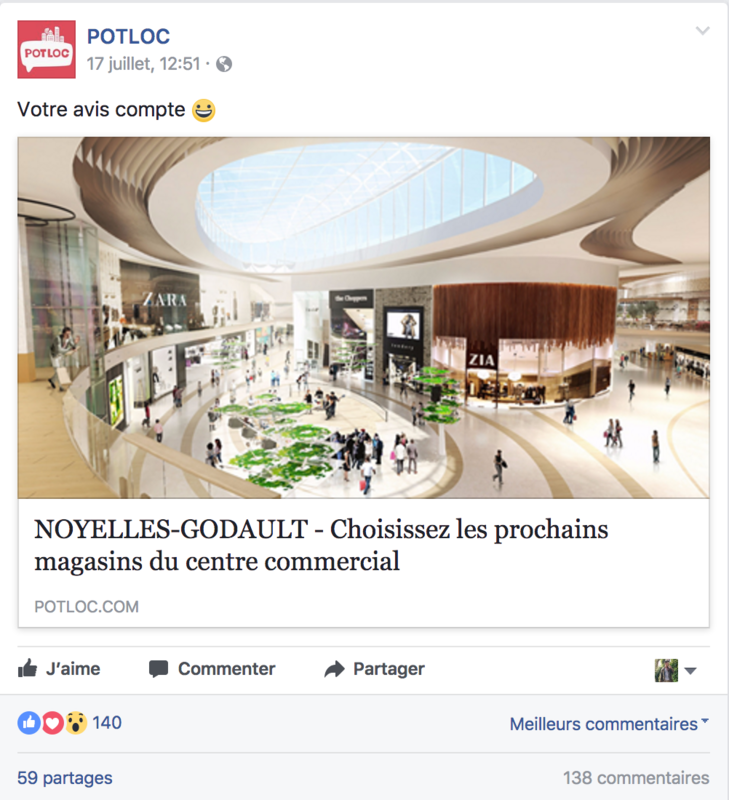 POTLOC’s platform targets people within specific locations on social media, asking them how they would feel about certain stores opening in their neigbourhood. Speaking with BetaKit, co-founder and co-CEO Rodolphe Barrere said that the company can track insights from 1,000 people within a one-kilometre radius, compared to the current industry standard of doing phone calls across a wider region. Coupled with the fact that more young people are using cell phones and ditching landlines, Barrere said that the company is changing the way their clients do market research. Barrere and his co-founder came up with the idea based on a game they used to play over beers as roommates: predicting which new stores in the neighbourhood would thrive or fail. When they found they were right most of the time, they felt they were on to something. An example of a POTLOC campaign. The platform promises to help retailers get a better sense of their shopping habits in the neighbourhood, so they can understand how to improve an underperforming store or predict whether the people in the neighbourhood would be open to their business. In turn, Barrere said that survey-takers feel empowered to have a voice in what establishments open in their area. The company, which also has an office in Lille, France, plans to open offices in Paris and Toronto. POTLOC will also use the funding to invest in research in development. Specifically, Barrere said they spend a lot of time figuring out how to standardize questions across different markets, developing an algorithm for sampling campaigns, and extracting more insights from the data it collects.